Learn how work in machine learning, natural language understanding, and automated decision making can be drawn together to create systems that already impact business, government, and how we live our lives. Collaborate with our world-class faculty in the development of cutting-edge technologies that go beyond the ideas of today to shape the software and functionality of tomorrow. Learn to take the ideas of AI and to apply them in the world with an eye to how people work and think, and how intelligent systems will partner with them. Through our industrial internship quarter, use your skills to solve real business problems in enterprise settings. Work in parallel with other students who are exploring the space of ideas and applications together as a team. In the final capstone quarter, go beyond what you have learned and apply those ideas and technologies to create your own innovations. Working with faculty outside of CS, learn how the technologies of AI can be informed by and transform other fields such as psychology, human-computer interaction, organizational management, and marketing. Immerse yourself in an environment of ideas that shape the future of how we work and live our lives. Over the past ten years, we’ve seen dramatic progress in the rise of artificial intelligence and in its use in the development of systems that can reason and respond to increasingly complex situations. Quite simply, AI is everywhere and the change brought about by these technologies has just begun. As AI moves from idea to implementation, it is clear that future intelligent systems will be designed to partner with, rather than replace or even augment, human users. Stemming from this growth in artificial intelligence technology is an increasing demand for individuals who can create AI systems embedded in practical settings that function alongside and in conjunction with human beings. 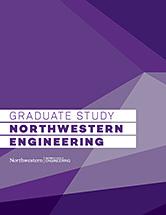 Drawing on Northwestern Engineering’s whole-brain philosophy and leadership in cognitive science, the Master of Science in Artificial Intelligence program aims to serve this demand by producing students who have exceptional technical skills and also understand the nature of the human environments in which the systems they build will be deployed. Our goal is to educate and train students in all aspects of how the emerging technologies of machine intelligence can be designed and deployed to interact and integrate with human partners. The program is for ambitious students who seek to become architects of intelligent systems as well as developers. With each cohort, the program strives to gather a diverse group of talented students in a creative and collaborative environment. The students in this program prepare to become hands-on thought leaders and are excited about building new AI products that can be embedded in human workflows. Our students focus on having a practical and transformational impact on the industries they serve. Prospective students should have a BA/BS in computer science or a related field, an existing knowledge of coding, and preferably at least two years of work experience in a related field. 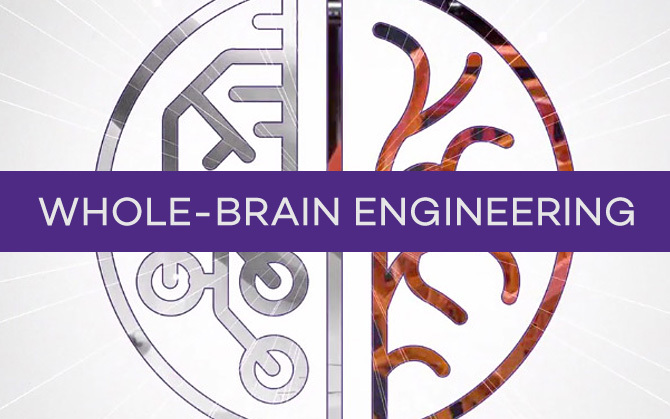 Engineering at Northwestern focuses on the impact of the ideas and technologies we develop. Our philosophy of whole-brain engineering reaches beyond technical excellence of engineering to its capacity to transform society. The Master of Science in Artificial Intelligence embodies this dedication to impact, integration, and whole-brain engineering. Northwestern’s MSAI goes beyond the technologies of AI to look at the problems in the world that AI seeks to solve, creating powerful AI systems integrated into workflows, business, and human interactions. Companies specializing in professional services and research institutions face volumes of data that cannot be addressed manually. These companies and institutions need intelligent tools that go beyond simple analytics and allow users and researchers to interact with and explore their data. A recent poll found that globally, 84% of companies see AI as “essential” to competitiveness, while 50% see the technology as “transformative.” However, despite the clear demand for AI products and workflows, other reports show a significant shortage of talent to fill positions related to artificial intelligence. The Master of Science in Artificial Intelligence will not simply prepare you for these careers. Through internships and capstone projects, this program will also help connect you with companies and institutions who are industry leaders in AI.